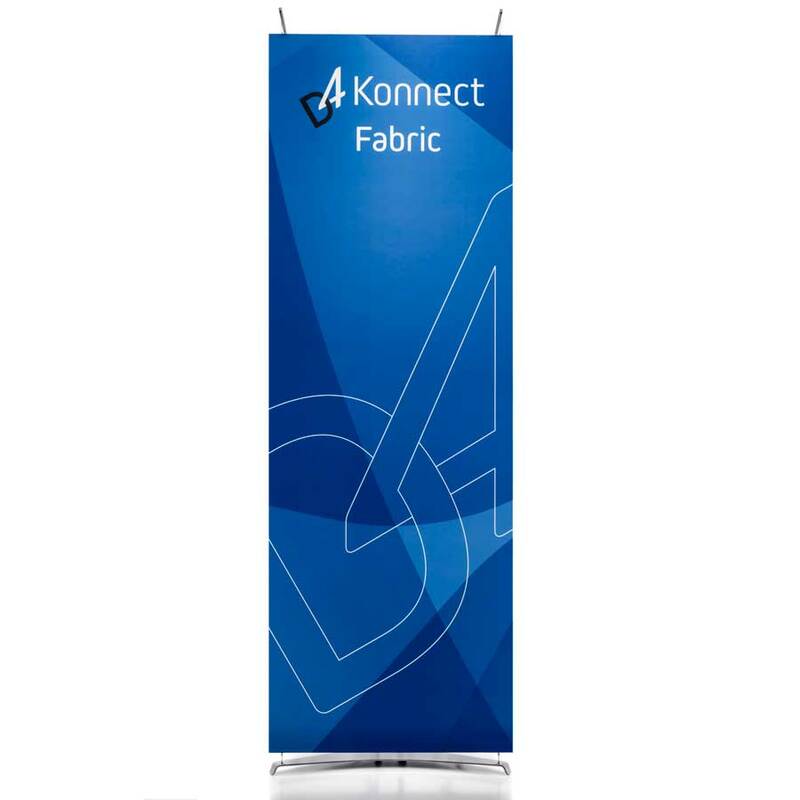 • Pop up banners for interiors & exhibitions. • Banner lead time is 4 – 5 days. 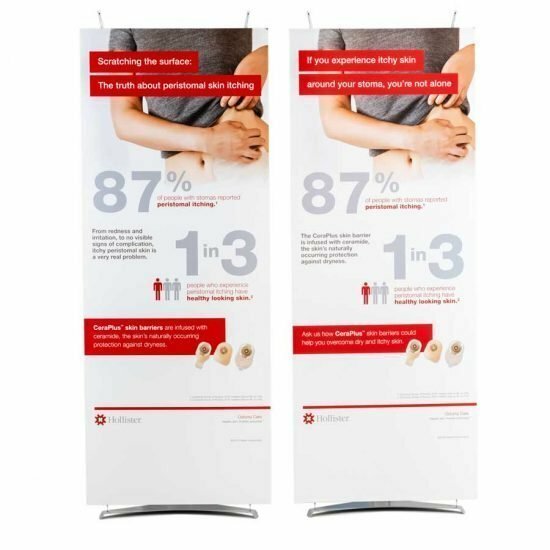 • Two banner materials – see description for info. System only to source your own banners. 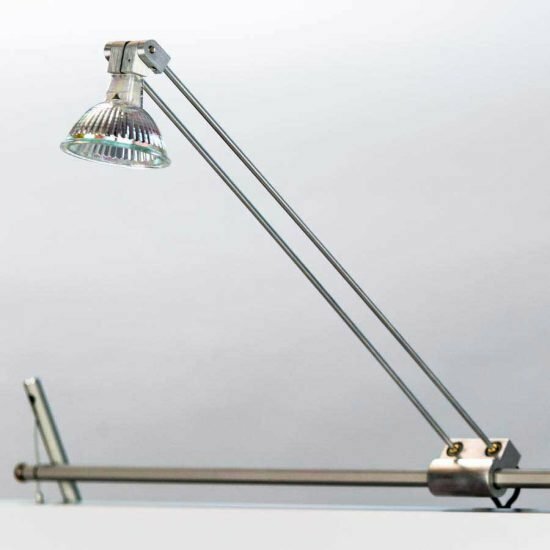 Frame only option for permanent installations. You're ordering a D4 Konnect 70cm in Travel bag with Opal Banner Graphic. 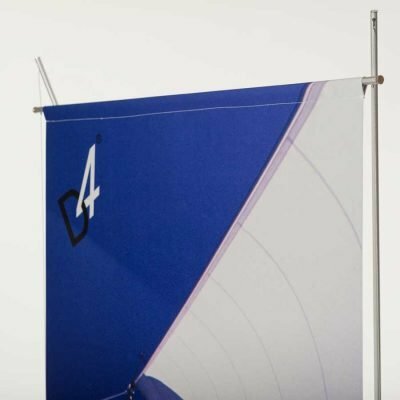 Order 3 – 6 displays and receive a 5% discount. Order 7 – 20 displays and receive a 10% discount. 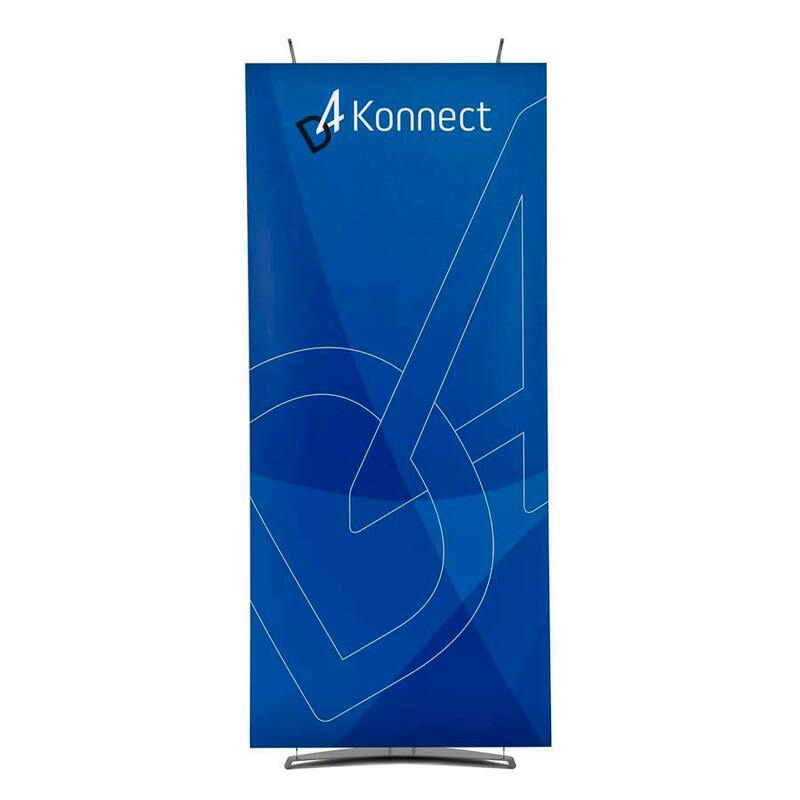 D4 Konnect are trade show pop up banners available in 70cm, 80cm, 90cm and 100cm models. 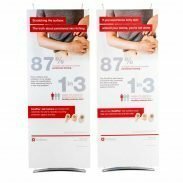 Floor standing exhibition banner stands designed for displaying marketing and promotional graphics. 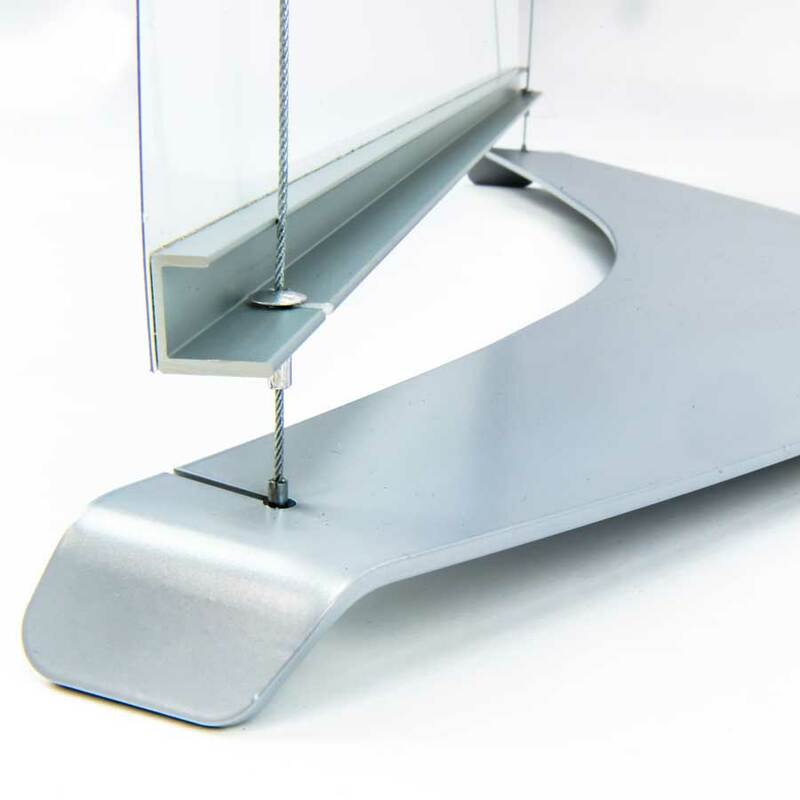 The high-quality materials used in their manufacture give the displays a modern contemporary look. D4 Konnects are pop up marketing banners with UK patent and EU design registrations. 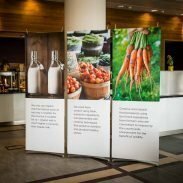 Use to display graphics at either temporary or permanent exhibitions. 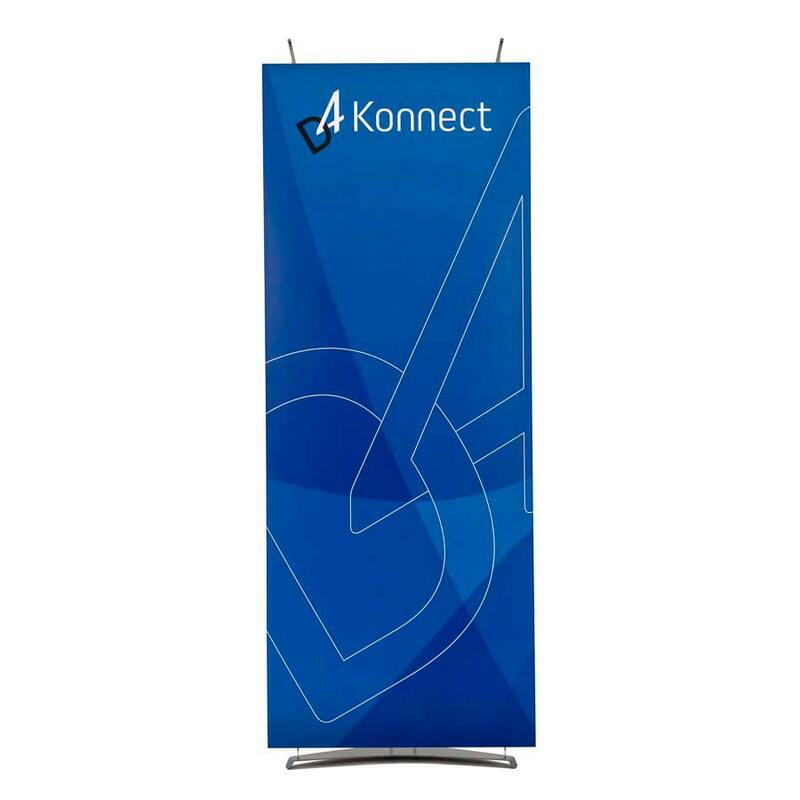 Can be used at conferences, events & road shows, as well as permanent showroom banner stands. 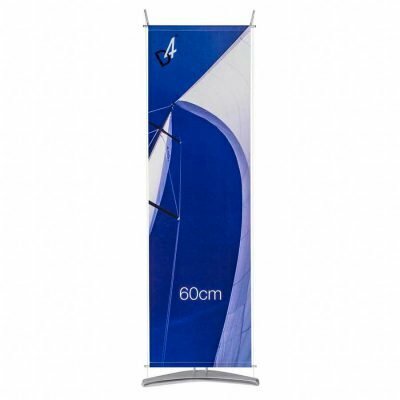 Stable design mean they are ideal as permanent banner stands in marketing suites & reception areas. 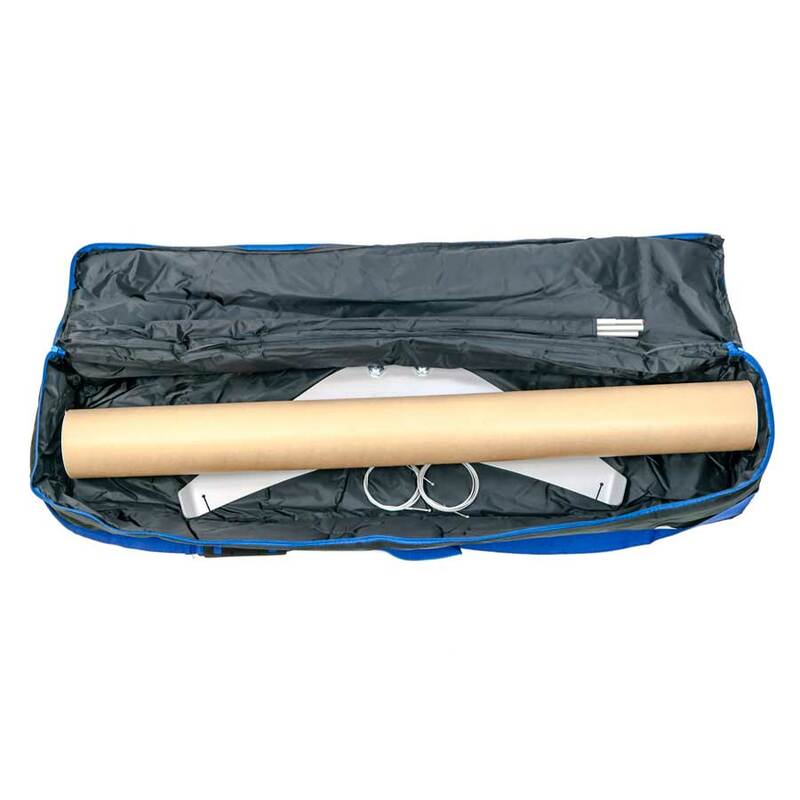 Displays pack down into travel bags for transport to trade shows. 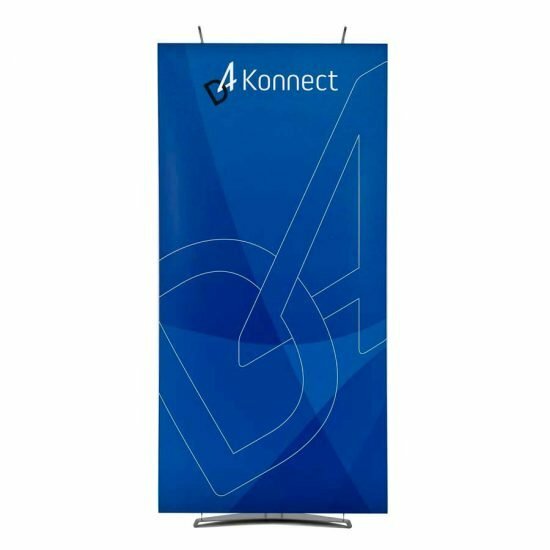 D4 Konnects are trade show pop up banners. 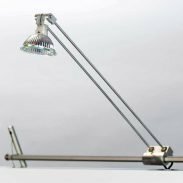 They are a professional way to present your marketing message. 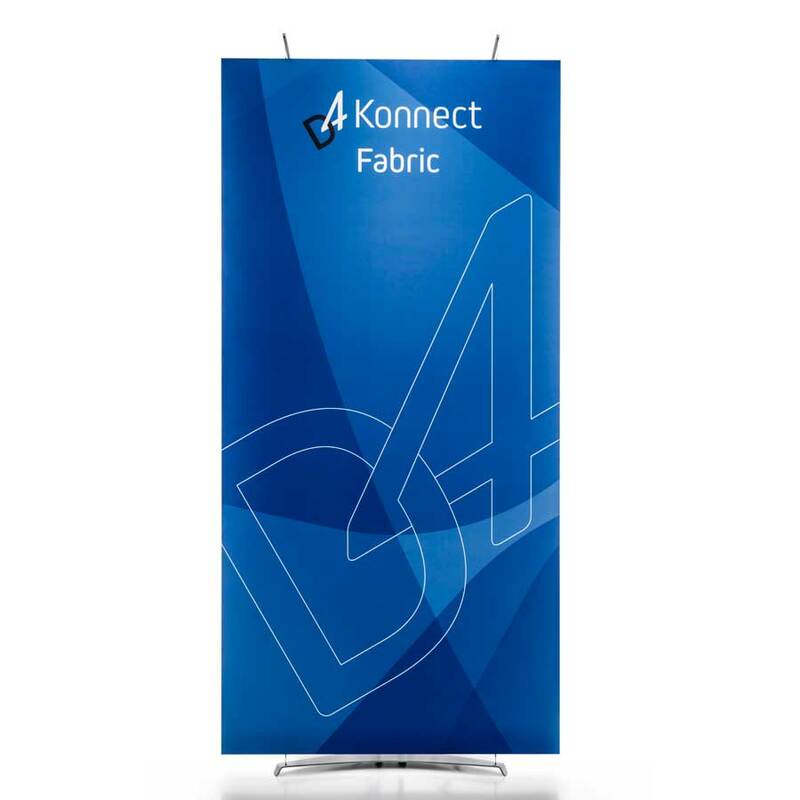 D4 pop up marketing banners feature a steel base with a large footprint so it’s not easily knocked over. 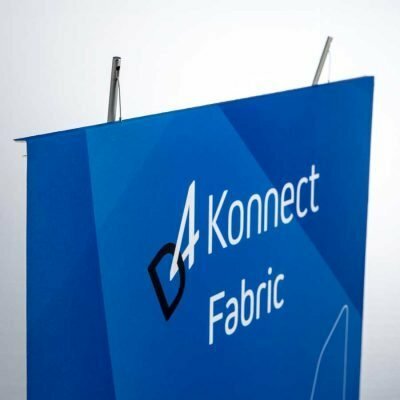 The tension cables and aluminium masts mean D4 Konnect banner stand displays wont lean over time. Users can change their own banners easily. Display graphics differently from a standard roller banner. 2.5kg steel base plate makes the D4 stable. Purchase additional banner fixings to display different banner stands designs. Pop up banners come with a 10-year guarantee against production defects. Spare parts are available if you accidentally damage your display. Dealing directly with manufacturer means you get the best prices. Quick friendly customer service from our London office. 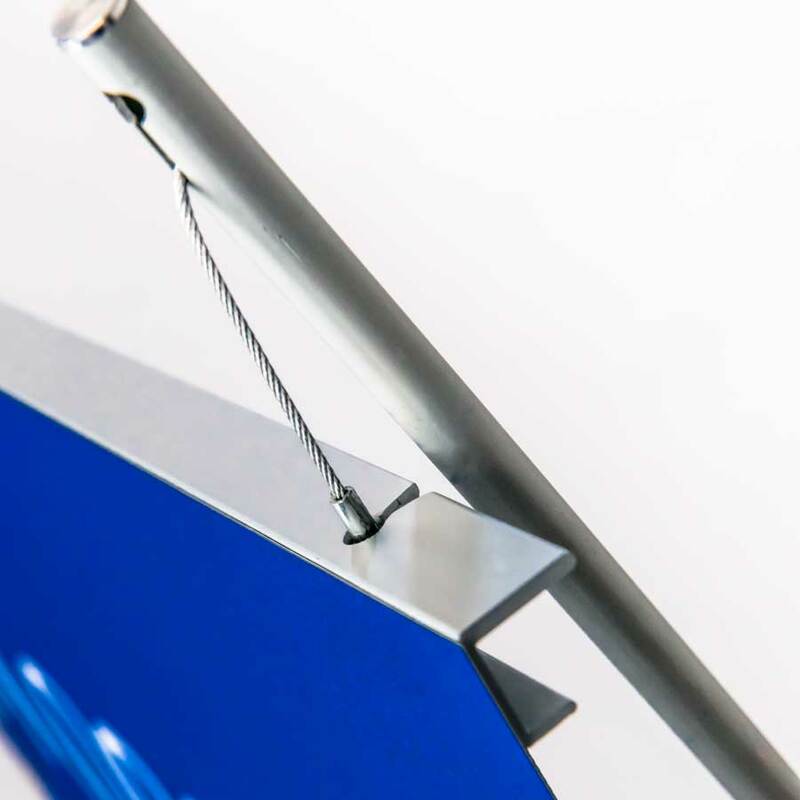 Stylish banner stands made from high-quality materials. 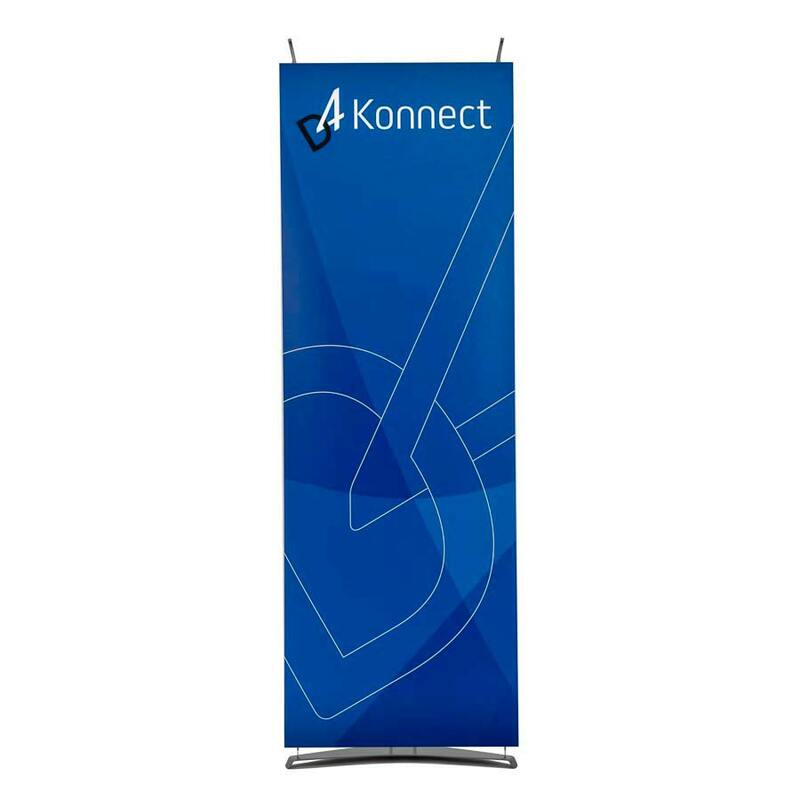 Exhibiting knowledge with a banner stands designs background. Visit our banner display stands gallery to see how clients have used their D4’s. 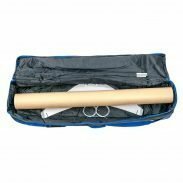 Is a 270 micron grey backed polyester film. Excellent choice where there is fine graphic detail. It's also the most economic option. The grey back ensures the banner material is 100% opaque. 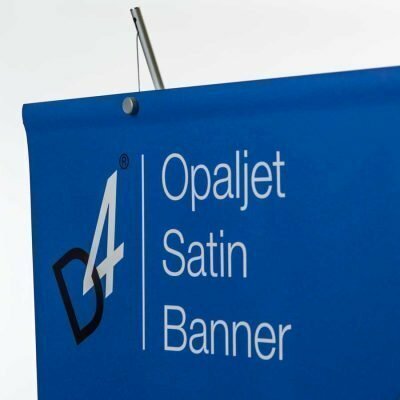 This very durable polyester is suitable for fabric banners up to 120cm wide. 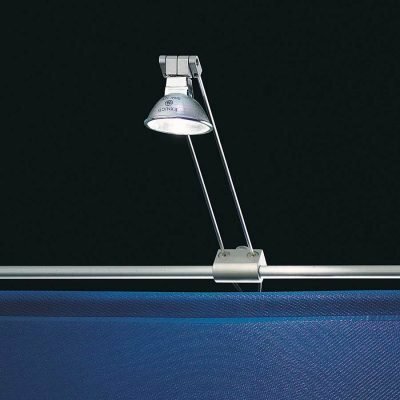 It has good drape characteristics and hangs straight. The edges are finished using a hot knife which seals the material and prevents fraying. 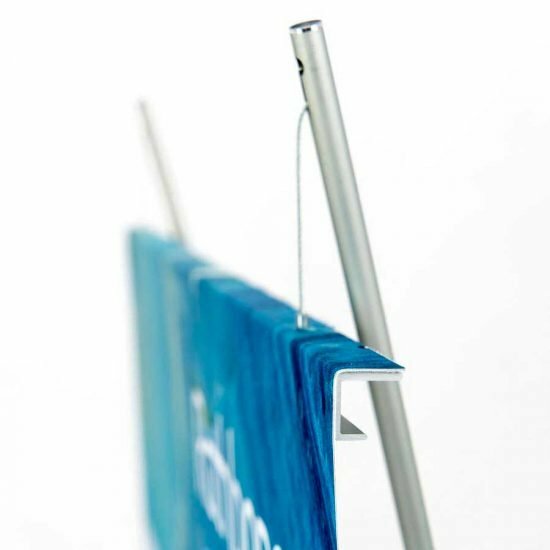 The metallic thread woven into the material gives your fabric banners a lovely a satin sheen. 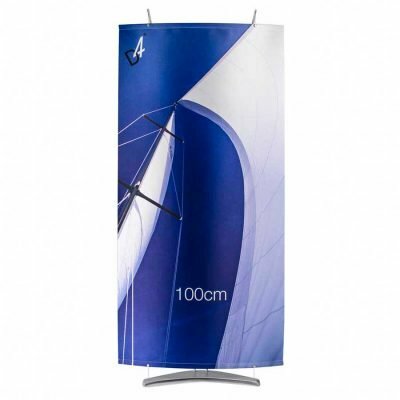 This enhances printed images, and is a good choice if you have are large areas of bright solid colour in your graphics. 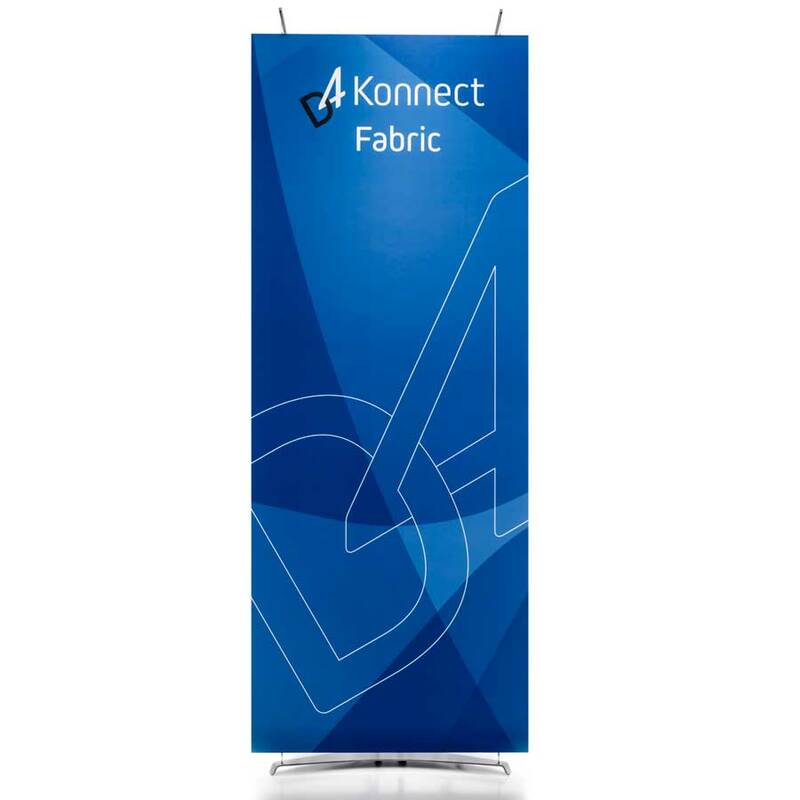 The satin finish makes sure your banners get noticed.